They pretty much automate things for us, doing away with emails, home visits and voicemails whenever we need to get in touch with our colleagues. These apps even notify people about work-related concerns, without project managers having to lift a finger. 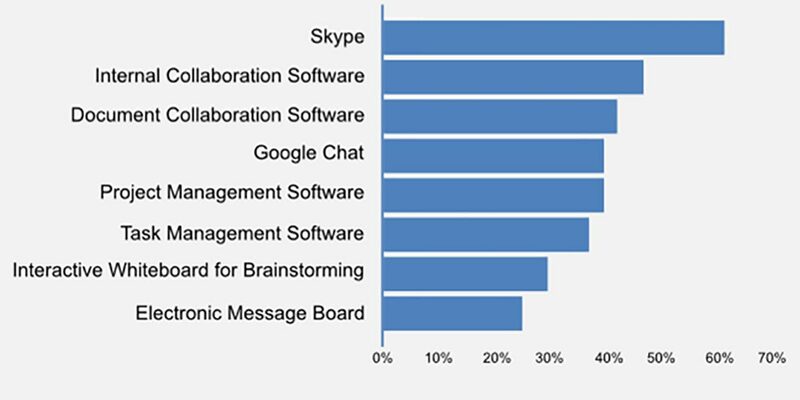 What are the 20 best online collaboration tools for project managers? However, of the most remarkable benefit of collaboration tools is their capability to connect individuals from virtually anywhere on the globe, and does so not only conveniently, but frequently as well. Remote collaboration has been proving successful in putting all team members on the same page, ensuring that they are aware of all project updates. This is true not only for big businesses, but for small players as well. In fact small businesses have been reaping the benefits of collaboration, among which is their ability to help companies manage their workflows in the best way possible. This apparent popularity can be traced to collaboration technology trends driving collaboration tool adoption, which include chatbots/virtual assistants, virtual and augmented reality and better APIs. But there is something you should know about online collaboration tools. It comes in different forms, with various tools’ functionalities crossing over to those of other software categories. These platforms, depending on user requirements, could take the form of different solutions, including project management software, communication, documentation, file sharing, design and organizational tools. 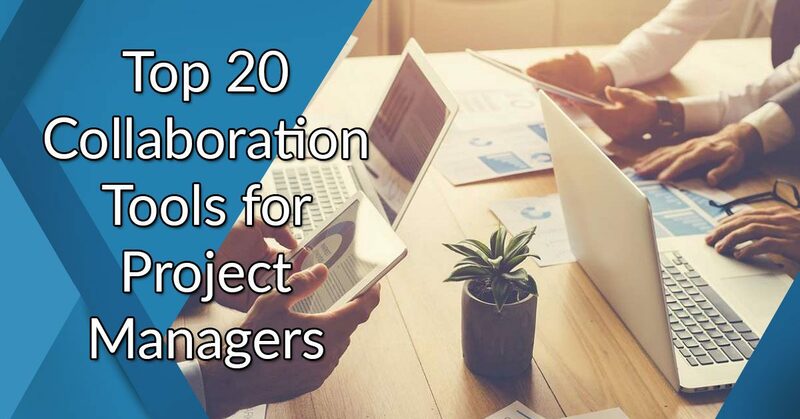 In this article, we present the 20 best online collaboration tools for project managers. Their features, functionalities and pricing will be discussed in detail. First on our list of best online collaboration tools, Wrike is an enterprise-grade project management solution that caters to both small and large businesses. Its popularity is reflected by the fact that it ranks first in our 20 best online project management tools list. Wrike features cover just about everything one needs in a project management software, making it one of the most popular products in the category. However, Wrike is also an excellent online collaboration tool, promoting better communication and accelerated project execution. What makes the platform unique is its three-pane project view, which is capable of displaying all important information, all from a single console. Users can prioritize assignments as all system features are arranged around an appropriate hierarchy. To make matters even better, the solution is able to break down tasks into subtasks so that users are able to track operations anytime. Wrike can be purchased in different pricing models starting at $9.80/user per month up to $36.40/user per month. An enterprise edition is available on a price quote basis. An appealing test drive of all software features is available to you when you sign up for a Wrike free trial here. Leading collaboration and communication platform Monday.com is designed to sync all data in a single hub, while enabling agents and team members to come up with critical decisions. A key to the software functionality is contribution streamlining, which helps boost the performance of all teams and departments. Monday.com reviews reveal that the system collates and displays progress information in a manner that is both easy-to-understand and logical. This allows all team members to track all common operations and projects. It likewise ensures that users get the needed incentives to make contributions to assignments and tasks, even if those not directly related to their company role. Its interface is built to support collaboration, using social networks and other channels. Everyone on the team can add comments, ask questions and even start discussions on any task. This easy-to-use program does not demand intensive training even for novice users. Monday.com is available in a variety of pricing schemes, from $25/user per month to $118/user per month. You can use all the features for free for a period of time to see if the software matches your needs. Simply sign up for a Monday.com free trial here. Web-based collaboration software Smartsheet is ideal for businesses’ team task management, crowdsourcing, project management, and sales pipeline tracking requirements. It is an enterprise-grade tool that offers users a ground-breaking method of collaboration. It can be accessed from any device or browser, combining the benefits of spreadsheets, collaborative file sharing, visual timeline management and automated workflows. Businesses’ use of spreadsheets are bound to make the tool’s interface familiar to most teams. It is also known to be more customizable and powerful than your average spreadsheet. Using the platform, you can manage different work types, including projects, programs and even your core business segments. Project and task collaboration is made simple and basically redefined, including marketing campaign tracking, operations and event planning, to name a few. If you choose to, you can use Gantt charts, work automation and file sharing to further boost productivity. These features accelerate decision-making that are likewise data-driven. Smartsheet’s standard pricing plans starts from $14/month to $24/user per month. Its Enterprise plan, on the other hand, is sold on a price quote basis. You can try all its premium features at no cost when you sign up for a Smartsheet free trial here. Powerful project management and social engagement solution Clarizen is known to boost organization performance, making it the top cloud asset of many large companies. To provide you with a brief Clarizen overview, the software sports a combination of high-quality social collaboration and robust project management features that both aligns project teams and makes ideas ripe for execution. It is quite easy-to-use and is easier to deploy. Clarizen essentially offers users the ideal work structure by linking projects, tasks and conversations. Unstructured conversations are connected with structured work, courtesy of its collaboration feature. In addition, the solution provides users with a faster means for managing initiatives, work and projects. Non-project managers and teams are able to take part in more advanced phases of a project, thanks to the system’s user-friendly interface, moderate pricing and original differentiation. This basically means that one can test all the software’s features using a 30-day free trial. Clarizen’s pricing information are not publicly disclosed. You have to contact the vendor and ask for a quote. The vendor offers a comprehensive free trial to get you up to speed with the features. You can sign up for the Clarizen free trial here. Cloud-based project management software ProjectManager mixes project planning and scheduling features with powerful collaboration tools that are designed for today’s sales teams. Seen as among the most dependable project management platforms in the market, ProjectManager boasts of over 10,000 teams using the system. It has all the needed tools to complete and deliver projects, big and small. Key ProjectManager features include project creation, task scheduling, planning, resource and asset allocation and project monitoring. Users can collaborate on tasks, by adjusting due dates with the system’s drag-and-drop scheduling functionality, file attachments and comments. Collaboration tools come with the platform so that teams can communicate and work together on projects. With ProjectManager, projects can be discussed online, group discussions created and team members invited to chats. Workflows and approvals are likewise made easy using online timesheets. The product is compatible with any operating system, as it supports devices that run on Windows, Mac, Android and iOS. ProjectManager is being sold in three pricing plans ranging from $15/user per month to $25/per user per month. A multifunctional yet fully-integrated project management software, Workamajig Platinum is built for ad agencies and in-house creative teams, helping them streamline processes that include project organizing, planning and management. But what stands out among Workamajig Platinum details is its promotion of collaboration through scheduling, communication and productivity enhancement and alert generation for real and potential issues. This cloud-based product provides users with a total solution for agency management, resource management, CRM and accounting, while providing individuals with their own apps to be able to perform their unique roles. It also gives organization members all the data they need at a moment’s notice. The platform can be used to come up with opportunities for new projects, keep the same on track and generate key insights. For in-house teams, incoming project requests can be easily managed by assigning tasks and generating analytics. Workamajig is being sold in different pricing models starting at $50/user per month (5 users) to $32/user per month (100 users or more). Yearly subscriptions start at $550/year (5 users) to $352/year (100 users). If you want to investigate the features closely you can easily do so when you sign up for a Workamajig Platinum free demo here. Cloud-based business management software Scoro is designed to cater to small and mid-size businesses, especially those in the information technology and advertising industries. Scoro pros and cons tell us that this feature-rich system comes with capabilities such as collaboration, project management, quote and billing, schedule and tracking, dashboards and advanced reporting. It has an easy-to-use interface so that users do not have to switch between email clients and applications. Its control hub, however, is what makes the system unique, displaying all tasks, performance data, account data and calendar events from a single dashboard. Country-specific integrations are being offered by the vendor in EU territories, which provide local solutions. The software can integrate seamlessly with calendar apps, which include Outlook, Google, iCal and others. You can purchase Scoro in three distinct pricing schemes from $22/user per month to $55/user per month. You can check the solution closely when you sign up for a Scoro free trial here. Zoho Projects is a powerful project management tool that is known for being able to significantly improve productivity while ensuring timely project completions. It comes with numerous functionalities that not only boost project monitoring, but promote collaboration as well. Using the software, you can manage every aspect of your workforce. Employees are allowed to insert data through a service portal. The platform offers an environment where staff and managers could be of help to each other. Its collaboration features allow both staff and consultants to focus on the progress of projects, which can be planned in advance with the use of task lists. These lists basically involve breaking down projects into much smaller units that can be easily managed. Subtasks, dependencies and recurring tasks can likewise be scheduled, allowing users to better meet deadlines. The system also generates graphs and charts that are easy to understand and offer valuable insights. Zoho Projects pricing comes in four plans, starting from $20/month to $125/month. If you want to know more about the features you can easily sign up for a Zoho free trial here. Hive is being sold under two pricing models. Its Professional version comes for $12/user per month while its Enterprise plan is marketed on a price quote basis. An appealing test drive of all software features is available to you when you sign up for a PRODUCT free trial here. Essentially a combination of numerous creative applications, Creativity 365 is highly-suitable to businesses and professionals in the creative sector. The solution is capable of managing documents and data, generating and growing concepts and editing multimedia. It has all the needed tools for digital content creation for both mobile devices and desktops. Using the software, collaboration creativity and productivity are enhanced while office workflows are streamlined. Users also get to enjoy greater flexibility as Creativity 365 supports devices running on Android and ioS, along with Mac and Windows. Other notable Creativity 365 benefits include e-signature, document scanning, presentation builder and file conversion. Hive is being marketed in two pricing models. Its Professional plan comes for $12/user per month. Its Enterprise edition, on the other hand, is sold on a price quote basis. You can use all the features for free for a period of time to see if the software matches your needs. Simply sign up for a Creativity 365 free trial here. Asana is a popular project management solution that easily facilitates collaboration and communication among members of project teams.  Asana features include being capable of creating projects and tasks within projects. These tasks’ progress can be tracked by users from any browser on any device. If necessary, users can add team members to projects while sharing files or communicating with other team members. They can also share notes, organize tasks and upload attachments of different formats, which promote streamlined workflows and on time delivery of projects. Asana users are notified via inbox of invitations to follow, comment or check an update. Other notable product features include searching, prioritization of completion and change management. Asana’s Premium plan is priced at $9.99/user per month. Its Enterprise edition, meanwhile, is sold on a price quote basis. A powerful project management solution, Jira is highly-popular among many businesses, helping them capture, assign and set work priorities. To provide a short Jira overview, the product aids users in managing the whole app development process, ensuring that all phases–concept to launch–are covered. Its simple and easy-to-use interface promotes collaboration among team members, allowing them to accomplish tasks in a faster pace. Users can use the software to plan, track and release market-ready software. User issues and stories can be created with the tool, along with sprint planning and task assignments to individual members. In addition, the system offers visual and real time data reports to improve the performance of project teams. Its REST and Java APIs allow for seamless integrations with most business systems, not to mention more than 800 add-ons and plugins from the Atlassian Marketplace. It also has mobile applications that support Android and iOS devices. Jira is available in a variety of pricing tiers. Its cloud versions come from $7 to $10 per month while its self-hosted versions are sold from $10 (one-time payment) to $12,000/year. A project management solution that is popular among many project teams owing to its attractive interface and powerful features and functionalities, Trello makes use of cards to assign and categorize individual projects, making the process a lot simpler. Trello reviews outline its robust features and cloud capabilities that make it one of the most competitive platforms of its kind. But what makes it a leading project management software is the fact that it is a highly-intuitive system that can cater to any type of user. It can be utilized, regardless of environment, by creative teams who are in search of a mobile solution as Trello supports devices running on iOS and Android. Its popular integrations and developer API enable the platform to work with existing business systems. Trello is being marketed in two pricing plans starting from $9.99/user per month to $20.83/user per month. Yammer is a business social networking platform that aids businesses in managing their internal communications while promoting collaboration. Yammer benefits include ease-of-use, which makes it accessible even with the use of any email that is registered to an organization’s computer domain. The product utilizes different channels to improve communication and has a document storage system. It is likewise capable of supporting collaborative document creation, secures critical information and can integrate with third-party applications. What’s even better is that it promotes an environment ideal for brainstorming where ideas can be generated. Information access is integrated by the system, which also triggers intelligent business solutions. Businesss can save money from using the solution as it analyzes information, which are then converted into reports using powerful analytics tools. Yammer can be purchased starting at $5/month. Podio is a collaboration system that is popular for organizing projects and tasks and facilitating communications for project teams. Such are accomplished by the solution by setting a single location for storing content, context and conversations, which helps users access all the data they require in accomplishing a task. Collaboration and task completion are also made a lot easier by reducing confusion. Podio can likewise organize and monitor communication, whether it involves sharing information or receiving an urgent message from a colleague. The platform has all the tools needed to automate workflows, manage tasks, collaborate, chat and schedule meetings. Features such as data visualization, personal dashboards, granular access, a connected CRM and full customization are also available. Podio pricing is pegged in three plans starting from $9 to $24/month ($7.20 to $19.20/year). Atlassian Confluence is a highly-regarded collaboration platform that basically aligns workplaces and project teams to allow them to share information necessary to organizational success. Among the myriad of Atlassian Confluence details, its ability to create, discuss and organize tasks with any member of your project team is never overlooked. The software essentially brings together team members in a single location where project-related ideas can be exchanged. Also, information are safely stored while data can be quickly searched and retrieved. Managers can assign department, team and project permissions, providing just about everyone with a workplace. You can even use the solution to engage any team member with the use of discussions, feedback, likes, mentions and threaded comments. Atlassian Confluence is available in different pricing plans. Its cloud version is priced starting from $10 (one-time payment) to $2.50/user per month. The software’s self-hosted edition, on the other hand, costs $800 (one-time payment) to $400/year. A highly-popular online presentation software, Prezi makes presentation creation more fun and creative for many users. While many other tools of its kind make use of videos, slides and animations to help users captivate audience, Prezi benefits are anchored on its ability to help users convey points to audiences by making presentations less boring, more dynamic and fun, keeping them glued right down to any session’s conclusion. When properly used, the software provides presentations with that cinematic feel, resulting in better audience engagement. It gives users absolute control over presentation details, ranging from font size to images to angles. The system comes with ready made templates that users can use to make more interesting presentations. Prezi is easy to use, not requiring intensive training even for novice users. You can purchase Prezi in three pricing plans starting from $7 to $59/month. Web-based media manager and collaboration system Wiredrive helps project teams work together. As a collaborative tool, Wiredrive features are just impressive, allowing users to work with different teams by serving as a central workspace for creatives, where members can upload and organize project files while controlling user access to the same. Any file format can also be used for distributing project files, which can be used for approval, review or download. Custom reels can be generated using the solution so that users need not save their work constantly without worrying about losing changes. File activity can be tracked, notifying members of the upload of a new video. In addition, workflows are also organized and streamlined as team managers can review and comment on videos for quick approval. However, the product does not limit itself to media management. It can also create custom presentations and organize galleries and slideshows, which can be presented or shared with clients. Wiredrive is available in flexible pricing plans starting at $249/month. Collaboration and productivity software Workboard is designed to help businesses realize team goals. Pertinent Workboard details include its ability to help in the creation of work plans and the establishment of goals and communication of targets, priorities and feedbacks to project teams. As for collaboration, the tool helps managers determine and set goals, while delegating tasks to team members–all in real time. Execution transparency keeps managers aware of project progress, allowing them to recognize individuals who perform. Projects can be effectively monitored using the system, with everyone concerned always in the loop. Tedious processes that adversely impact collaboration are eliminated by the system, which instead promotes priority targeting, transparency and accelerated project executions. The platform is basically a people-focused solution that keeps project management and implementation in sight at all times. Workboard is being sold in three pricing models starting from $9/user per month to $50/user per month (billed annually). Simple to use project management solution ProProfs Project provides users with full control over all of their projects. Built for all types of industries, ProProfs Project features a comprehensive set of tools that help managers bridge decentralized teams and manage, monitor, and designate projects in a centralized location. This collaborative solution allows users to quickly assign specific projects to an individual member and supply them with all the information needed so they can effectively accomplish their responsibilities. You and your team can also quickly communicate with each other and collaborate on common projects by discussing on tasks and subtasks. Admins also have tracking capabilities to ensure that all projects are going smoothly and are within their set budget and deadline. ProProfs Project starts from $19 per month and allows for an unlimited amount of users, but only supports up to 10 projects at a time. So there you have it our best online collaboration tools for project managers. By now you should be able to decide for yourself which platform will suit you. However, if you feel that you need to know more about what these tools can do for your business, you can read more of the benefits of online collaboration tools here. Remember that you should know what you need first before committing to a service.